Wafangdian Jinfeng Bearing Manufacturing Co., Ltd. was founded in 2000 by Chairman Mr. Yu Chuan Jie with a professional team. The company's own brand, WBJF, also undertakes OEM projects. After more than twenty years of rapid development, Jinfeng Bearings has established long-term and stable cooperation relationships with hundreds of famous domestic and international end-customer customers and dozens of world-famous bearing brands, enjoying a certain status and high reputation in the global bearing industry. WBJF mainly produces spherical roller bearings, tapered roller bearings, cylindrical roller bearings, thrust spherical roller bearings ,and other general-purpose bearings with an inner diameter above 100mm and an outer diameter of less than 2,000mm . Also the precision can reach P4 、P5 and P6 .Products are widely used in steel, mining, cement, petroleum, papermaking, transmission and other industrial areas. The products sell well in the United States, Japan, Germany, Austria, Belgium, Spain, Italy, the Czech Republic, Poland, Denmark, Norway, Sweden, Russia, Ukraine, Turkey, Brazil, Argentina, Singapore, Indonesia, South Korea, Vietnam and other 30 countries. 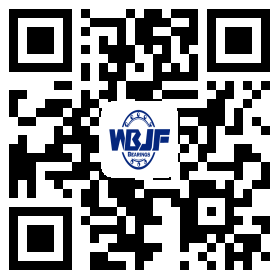 In addition to supplying various types of industrial bearings, WBJF can also provide customers with product development, application guidance, consulting, and product testing and other technical value added services. Nowadays,The company has passed ISO 9001:2008 international quality management system, ISO 14001:2004 international environmental management system and OHSAS 18001 occupational health and safety management system certification.This will help lay a solid foundation for the company to explore the international market and serve customers worldwide. Jinfeng Bearing firmly believes that quality is the cornerstone of the company's development. In July 2015,Chairman Mr.Yu Chuan Jie firstly proposes the development strategy of the company's intelligent manufacturing“transformation and upgrading”, through the transformation of equipment, operator training, process improvement and other means, continuous transformation and upgrading to improve product quality, increase production efficiency, reduce labor costs and product costs, thereby increasing the product's cost-effective and comprehensive competitiveness. It will help WBJF's customers and the majority of partners create greater profits and more broad market . Looking forward to the future, WBJF will change the world through quality and win praise through quality under the guidance of “becoming the world's leading brand in the global bearing industry. WBJF will, as always, uphold the values of integrity management, innovation, excellence, customer first, practice the spirit of “craftsman”, and make one of Chinese bearings that all the world praise! Let the world fall in love with China manufacturing. WBJF warmly welcome customers, partners and friends from home and abroad to come to our company to visit, inspect and exchange, and discuss further cooperation!